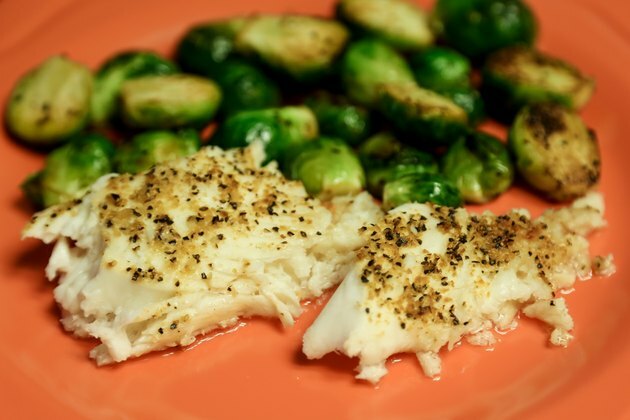 Tilapia is a type of mild whitefish that is low in fat and calories, but this delicate fish can be tricky to prepare because it can quickly dry out during the cooking process. Fortunately, you can prepare perfectly-cooked tilapia in the microwave for a quick, healthy and easy meal without the hassle or time involved in other cooking methods. When properly covered, it retains most of its moisture and natural juices, while absorbing the flavors of the herbs and seasonings you cook it in. Coat the bottom of a shallow plate with a thin layer of olive oil to prevent sticking. Place your tilapia fillets on the plate in a single layer, with the thickest parts of the fish facing the edges of the plate because they will cook more quickly there. Tuck in thin edges of the fish so that they cook more evenly. 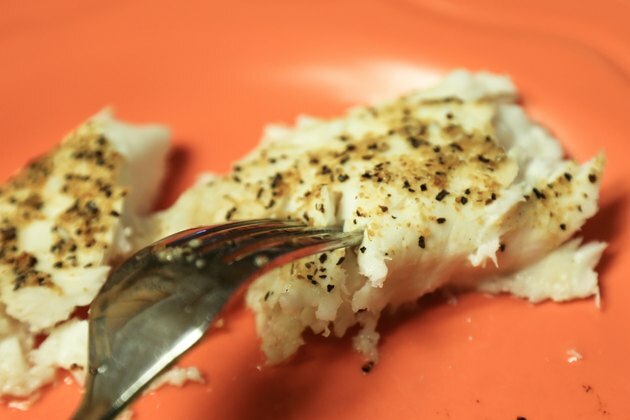 Rub some seasonings like salt, pepper or chili powder on both sides of the tilapia fillets to coat them. Place some fresh herbs, like tarragon and dill, over the fish, if desired. In addition, you can sprinkle some chopped aromatics like onions, carrots and celery over the fish to add additional moisture and flavor. 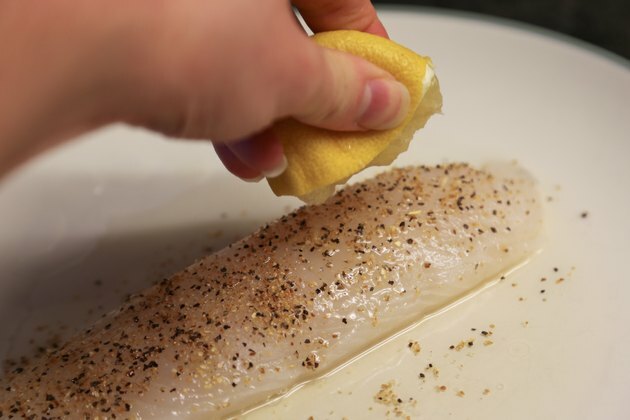 Squeeze a lemon and pour the juice all over the tilapia fillets. The acidic juice will keep the delicate fish tender while adding some zing to its flavor. If you prefer a sweeter flavor, pour a little freshly-squeezed orange juice over the fish instead. 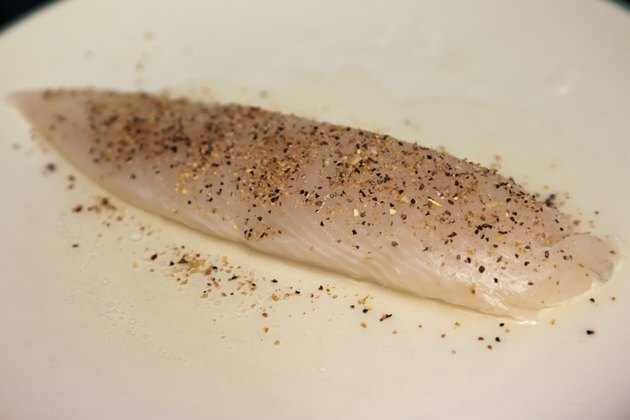 Pour a small amount of olive oil over the seasoned tilapia fillets to keep them moist during the cooking process. Cover the plate with a sheet of wax paper, and place it in your microwave. Cook the fish on high for approximately 4 minutes. Allow the fish to sit for a minute before testing it with a fork. 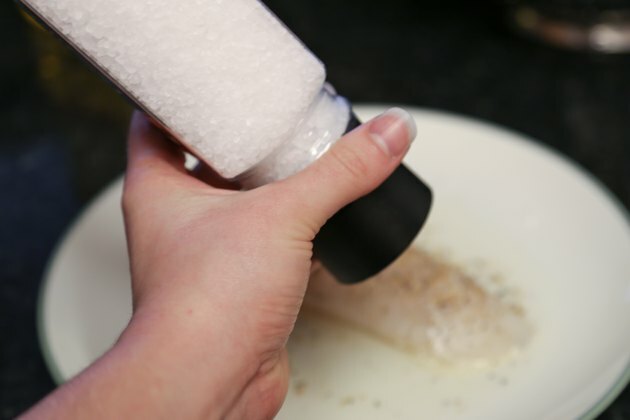 The fish should be opaque and flake slightly in the thickest part when you poke it with a fork. 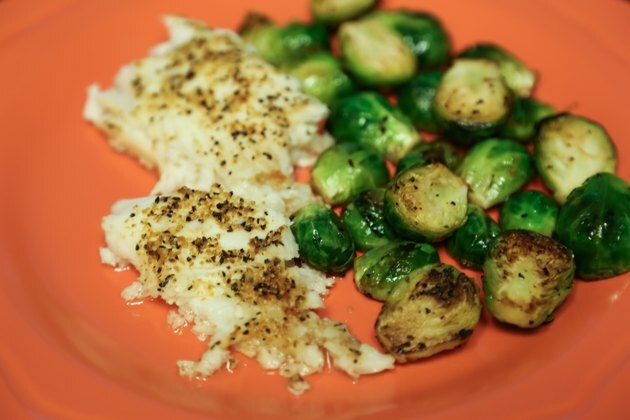 Remove the tilapia, herbs and veggies from the plate to serve. 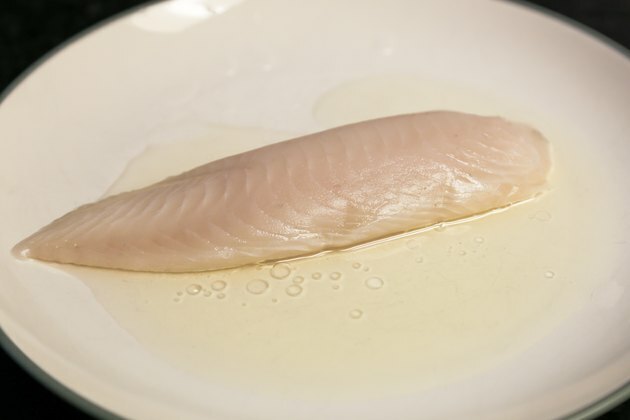 Microwave the remaining fish juice, oil and citrus juice for 1 to 2 minutes, uncovered, to reduce and soften them. Pour them over the cooked fish. To enhance the flavors of your tilapia, allow the fish to marinate in the citrus juice, herbs and seasonings for 10 minutes prior to cooking. If you don't have wax paper, you can use plastic wrap instead, but vent it and don't allow it to touch your fish because the chemicals from the plastic can transfer to the fish. Another option is to use a covered ceramic dish to cook your fillets. Skip the citrus juice and add freshly chopped tomatoes and their juice to your tilapia instead. Tomatoes are also acidic and will help keep the fish moist and tender. For safety reasons, all fish should be cooked to an internal temperature of 145 degrees Fahrenheit. Because a microwave can cook fish unevenly, the "Betty Crocker Cookbook" recommends that the internal temperature should reach 170 F, as tested with a food thermometer. The Harvard Medical School Family Health Guide: Microwaving Food in Plastic: Dangerous or Not? Real Simple: How Safe Is Your Kitchen? 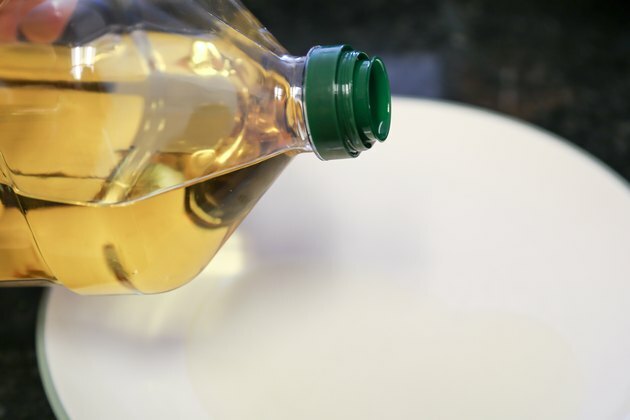 Cleveland Clinic: Olive Oil vs. Coconut Oil: Which is Heart-healthier?